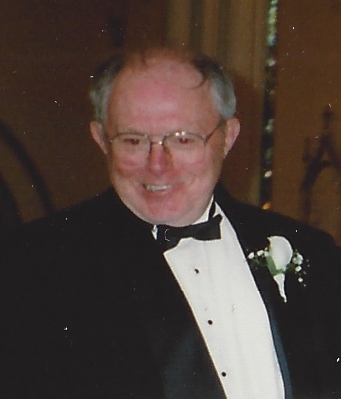 BEDARD, Joseph L. Of Hyde Park, passed peacefully on January 11th, at the age of 84. Beloved husband of Mary E. (Harhen) of 53 years. Devoted father of Joseph, Jr. of AZ, Thomas E. of IA, Stephen P. of North Attleborough, Scott P. of Hyde Park, James R. of Walpole, and the late Maryetta Bedard. Cherished brother of Richard, Yvonne Martell, Jeanne Powers, and 8 deceased brothers and sisters. Loving "Grampa" of Audrey, Sean, Shannon, Emily, and Katherine. Also survived by many loving nieces, nephews, in-laws and friends. Visitng hours will be held Friday evening, from 4-7 at the Carroll-Thomas Funeral Home, 22 Oak St., HYDE PARK, relatives and friends invited. Funeral Services and interment will be private at family's request. Joe was a late Air Force and Navy veteran.